What does Hawaii Community Foundation fund? Currently, our competitive grantmaking is defined around a variety of program areas. Some are targeted to population groups, such as children and youth; some to areas of interest, such as culture and arts, family literacy, and natural resources; and some focus on a specific geographic area, such as Kauai or West Hawaii. 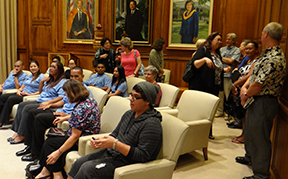 The funding priorities reflect those of the many generous and community-spirited individuals, families, and companies that have established funds with the Hawaii Community Foundation. What does Hawaii Community Foundation generally not fund? In most cases, only Hawaii organizations, either as a unit of government or one classified by the Internal Revenue Service (IRS) as a 501(c)(3) may apply. Learn more about our grantmaking programs or search through our grant programs by specific area of interest, deadline, or name of a fund. You also can contact us with specific questions about our funding purpose. Our grantmaking programs require both a proposal and application form, either online or printed. Can I apply for more than one grant program? Yes, as long as your project meets the specified guidelines for each. Certain private foundations have different guidelines. What is an RFP and where can I find it? RFP stands for Request for Proposal. An RFP describes a grantmaking program and the information a grantseeker needs to include in a written request for funding. Depending on the program, you may be asked to submit either an online or hard copy proposal. Please read the grantmaking guidelines for each program for more information. Some grantmaking programs have regularly scheduled deadlines for submission. Please view the Grants calendar. Other programs have "rolling deadlines" and are reviewed more frequently throughout the year. How will I know if my request has been received? You will receive a letter or email from HCF, acknowledging your submittal and advising you if your proposal is complete. The letter or email will also give you a record "ID" number. Keep this number, as it will help us track your request over time. What happens once I submit my request? Does the program meet Hawaii Community Foundation funding criteria or goals? Does the organization have the expertise and capacity to carry out the program? Does the program appear to be viable? If the program is ongoing, are there sources for future funding? Typically, you will be notified within three months of a proposal deadline. Specific deadlines are also included in the grant guidelines for each program. What will I receive from Hawaii Community Foundation? You will be notified by mail or email whether your project is approved or not. Please contact the staff person noted on your letter if you have questions about the decision that is made. 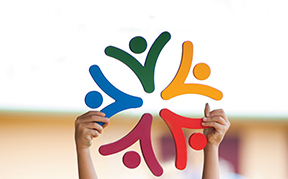 Other than grants, what does Hawaii Community Foundation support? Hawaii Community Foundation programs also include training and leadership development opportunities, some of which have competitive processes.